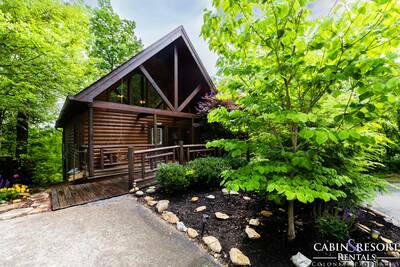 Experience the good life in this stunning Smoky Mountain vacation cabin offering views of the surrounding valley, countryside and mountains. Black Bear's Den is the perfect place to hibernate, rest and relax. You and your guests will enjoy the crackling fireplace, flat screen TV, fully equipped kitchen, covered deck with views, rocking chairs, outdoor hot tub and so much more! 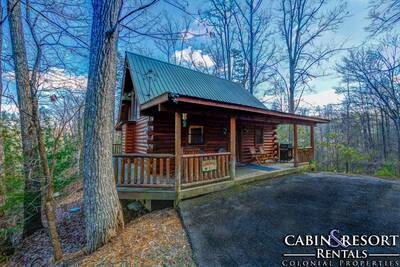 This cozy cabin features a main level bedroom and 2 baths. 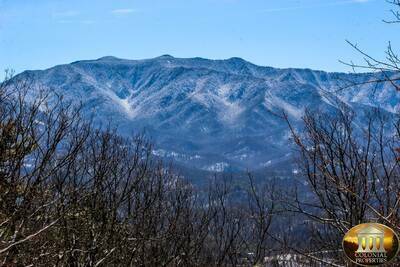 If you're looking for a place to spend a relaxing mountain vacation, then check out Black Bear's Den! 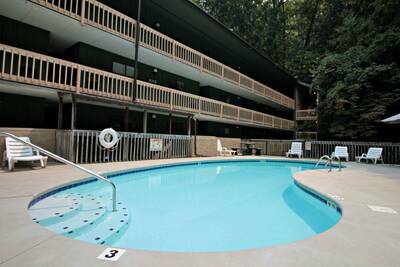 Also check out sister property to Black Bear's Den, Sunrise Vista! Black Bear's Den features 5 acres of property shared with sister property Sunrise Vista. On these 5 acres, you might see remnants of an old hiking trail that used to climb high up on the ridgetop and circled around to the north side of the cabins. Today, there is little physically trail direction left. All has been lost to the windswept elements. Today, this trail is home to the native wildlife. “ My boyfriend and I had an amazing time in our cozy cabin. We loved the Mountain View and how secluded the cabin was. The activities that were included with our stay was great and we think it is a good perk to include. “ What a perfect cozy cabin with spectacular views! The cabin was clean and ready for us upon arrival and had all the amenities we needed. I would highly recommend to family and friends and can't wait to book our next visit! “ We really enjoyed staying here! The view was great and it's very peaceful and quiet! 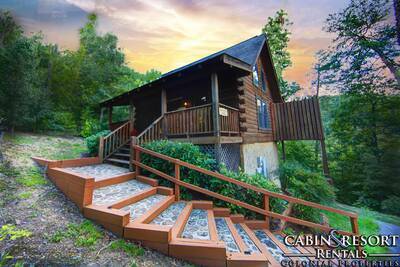 “ We had such an amazing experience with the cabin.